This is custom Mamoru Shigeno fighter fixed blade. 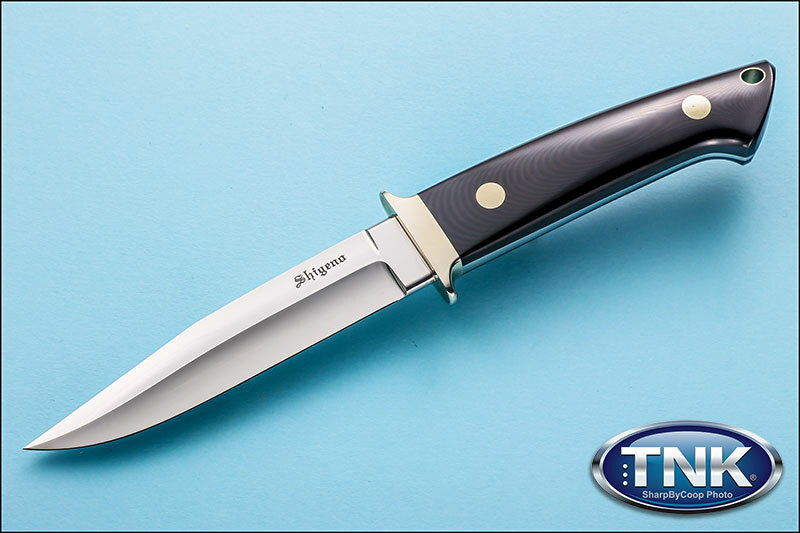 It features a beautiful hand-rubbed ATS-34 blade complimented with a black canvas micarta handle. Tapered tang. Nickel silver pins and bolsters.